Pakistan has asked the International Court of Justice to hold an early hearing in the case of Indian national Kulbhushan Jadhav, who has been sentenced to death by a military court, a media report said on Tuesday. The Express Tribune, citing sources, reported that the Pakistan foreign office has sent a letter to the Hague-based ICJ's registrar, expressing Pakistan's desire for a quick hearing, preferably over the next few weeks. The request was made in view of the upcoming elections for ICJ judges, scheduled to be held in November, it quoted the sources as saying. A senior official, however, was quoted as saying that the ICJ might resume the hearing in the case in October. "The government (however) wants the hearing (to be held in the) next six weeks," he said. Pakistan's Attorney-General Ashtar Ausaf Ali is expected to attend the ICJ proceedings. The federal government, however, has not taken any decision about replacing Pakistan's attorney Khawar Quraishi. "His performance is satisfactory...He raised all (relevant) legal points during the hearing," a senior official of the law ministry was quoted as saying. The report, citing sources, also said the government was considering a few names for nominating them for the post of adhoc ICJ judge. The name of a senior lawyer was also under consideration, it said. The report comes just days after ICJ stayed Jadhav's execution and also endorsed the Indian request for consular access to him. India on May 8 had moved the ICJ against the death penalty handed down to Jadhav by a Pakistani military court. Legal experts were beginning to wonder why Pakistan wants to appoint a foreigner as an adhoc judge when every state prefers to nominate its own lawyers, the report said. They are calling on the attorney-general's office to consult local lawyers before finalising a legal strategy in this regard, it said. A senior lawyer, with vast experience of international arbitration, was quoted as saying that it was necessary to revamp the legal wing of the foreign office because it failed to give proper advice to deal with Jadhav's case. Pakistan Bar Council's executive member Raheel Kamran Sheikh expressed concern over Pakistan's dismal success rate in international arbitration at just two per cent. He pointed out that "India's success rate was 60 per cent". "We have lost important cases at international forums over the past couple of years, while spending more than a billion rupees in lawyers' fees," he said. According to Sheikh, the mishandling of Jadhav's case was a classic example of how the power struggle between military and political institutions played out and gaps in foreign policy and national security perspectives grew. "State may suffer irreparable damage if gaps are not immediately bridged...in the national interest by both centres of power," Sheikh said. 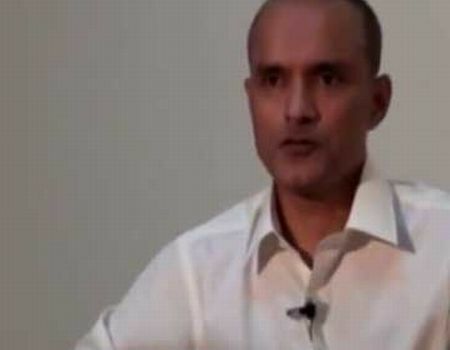 A senior official in the attorney-general's office was quoted as saying that although India got the stay on Jadhav's execution, ultimately Pakistan would win the case. "We are in no hurry to execute him (Jadhav) as he is making more disclosures," he claimed. Jadhav's case is the latest flash-point in the tensions between Pakistan and India. The two countries last faced off at the ICJ 18 years ago when Islamabad sought its intervention over the shooting down of its naval aircraft.